Crowdfunding isn’t just a way to get inventions or indie films funded; it’s also a powerful fundraising tool for social impact organizations. 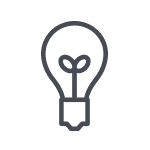 While some nonprofits have made great use of both Classy’s fundraising platform and other crowdfunding options, our team of engineers has spent the past year completely rebuilding our product to help organizations succeed. We rolled out Crowdfunding—the first campaign type of our entirely reimagined Fundraising Suite—in May, and organizations have already created more than 700 new campaigns. 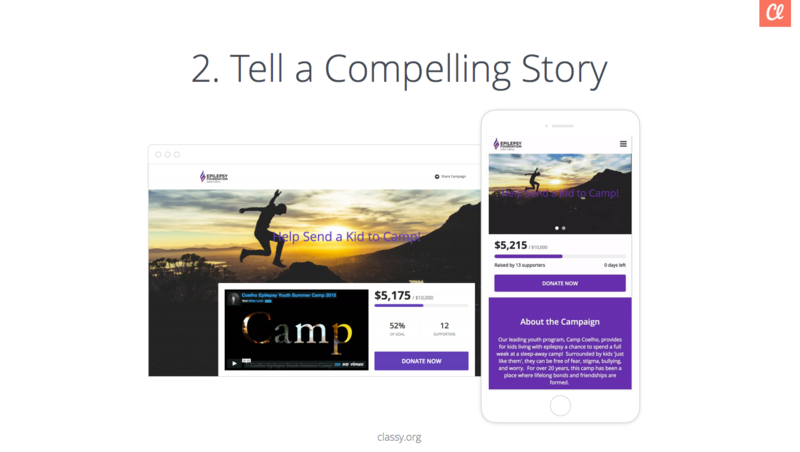 To create a platform designed specifically for nonprofit crowdfunding, we studied the thousands of campaigns and fundraising pages made on Classy since 2011. We found four elements that consistently showed up in the top-performing campaigns. In a recent webinar, senior marketing associate Elizabeth McDonough and product marketing specialist Terri Harel shared the four secrets to crowdfunding success. 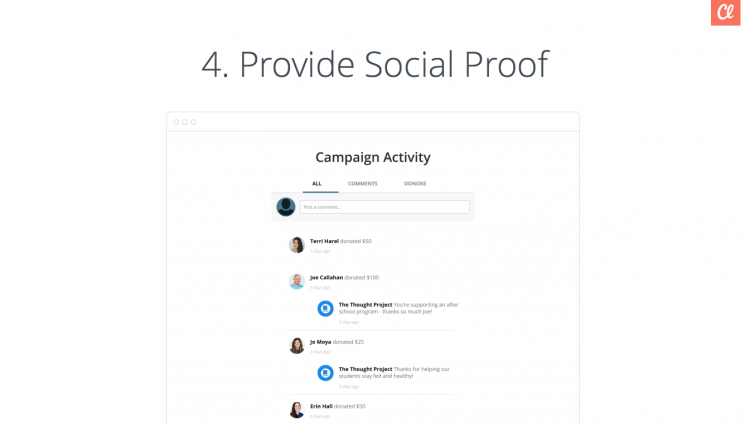 They also showed how quickly you can create and improve Crowdfunding pages on Classy. Watch the full webinar recording to see how we transformed three nonprofit donation pages into modern, branded Crowdfunding campaigns. The first secret to a killer crowdfunding campaign is to give donors a branded experience that’s consistent with their past interactions with your nonprofit. As Terri and Elizabeth explained, your donors know and trust your brand and their donations are an expression of this. 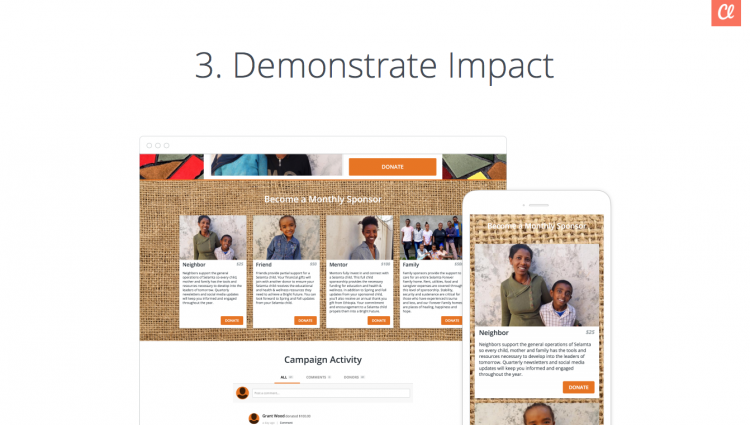 When you create a seamless transition from your website to your campaign and donation pages, donors can rest assured that they are in the right place and their gift will go toward your cause. 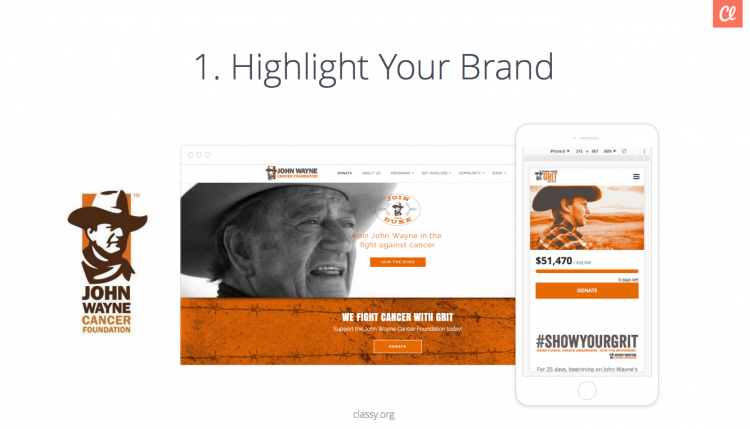 When a visitor to the John Wayne Cancer Foundation website decides to make a gift, they arrive at a campaign page that carries the same image and feel. Conversely, when you send donors to a generic donation form or a site like GoFundMe, that trust can be lost. “It can be really jarring for someone who was compelled by your homepage or an email or a social media post to be dropped on a donation page that doesn’t appear to have anything to do with you. 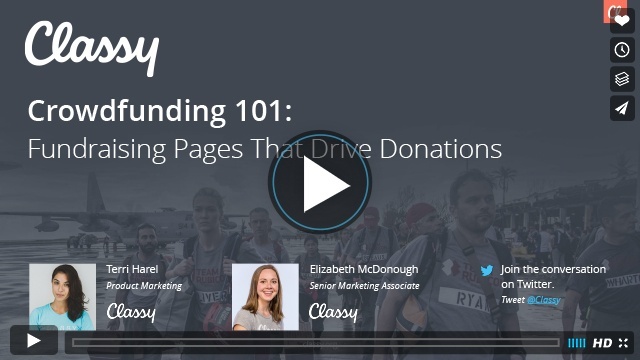 The fact is, branded donation pages raise more money. The average gift to a branded page is 38 percent larger than that of a generic page. When you give donors a consistent, branded experience, you can increase conversion rates and generate larger average gift sizes. This is why the number one tip for any organization running a crowdfunding campaign is to put your brand front and center. While branded campaign and donation pages help maintain a donor’s sense of trust, a compelling story evokes the emotion that drives people to give. Your audience may understand your organization’s mission and even know why it matters, but a story that makes them feel the human connection is what compels them to donate. “That’s why stories are so powerful—they’re creators of empathy,” said Terri. The Epilepsy Foundation uses a touching video on their crowdfunding page to incite action from donors. Two of your most valuable storytelling tools in your crowdfunding campaign are video and images. That’s why Classy’s engineers made it easy for nonprofits to embed this content from YouTube, Vimeo, and elsewhere. “Even a 30 second video can establish that emotional connection with a campaign page visitor. And since 31.5 percent of online gifts are made on a mobile device, your story must be just as compelling on a smartphone as it is on a desktop monitor. Fully mobile-responsive pages, like those on Classy, increase conversion rates by 34.2 percent. Make sure your story moves your audience to get involved, wherever they are. Your brand shows donors who you are and a story shows them why they should give. The next element of crowdfunding success is to show them how they can make a difference. Your supporters want to help you make an impact, so empower them by showing what their gift can do. 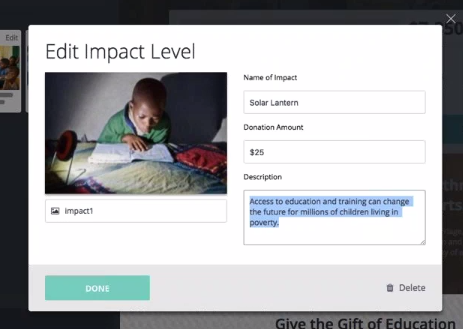 Selamta Family Project uses impact levels to show donors how their gift helps. The new Impact Levels feature on Classy Crowdfunding makes it easier than ever for you to show what gifts of different sizes will accomplish. Simply upload a picture and type in a description to illustrate the impact of a donation. Create a range of gift sizes to appeal to small and large donors alike. Social proof is the final secret to a stellar crowdfunding campaign because it provides that little bit of extra encouragement some people need. As important and compelling as your cause is, people feel better when they know they’re not alone in supporting you. The activity wall on Classy’s Crowdfunding campaign shows the people who have already donated and commented on the campaign. “This could really be the last driving factor to get someone to donate,” said Terri. Not only do people see that others (maybe even their friends and family) are giving, but they can also see when your organization responds and thanks them. Highlighting the people supporting your campaign is a simple, but powerful way to foster community and shared purpose. Crowdfunding is a huge fundraising lever for many nonprofits and we’ve studied some of the most successful campaigns to learn what makes them tick. Whatever platform you use, leverage these elements to create an outstanding donor experience and and raise more money. Now watch the full webinar and get the slides below.